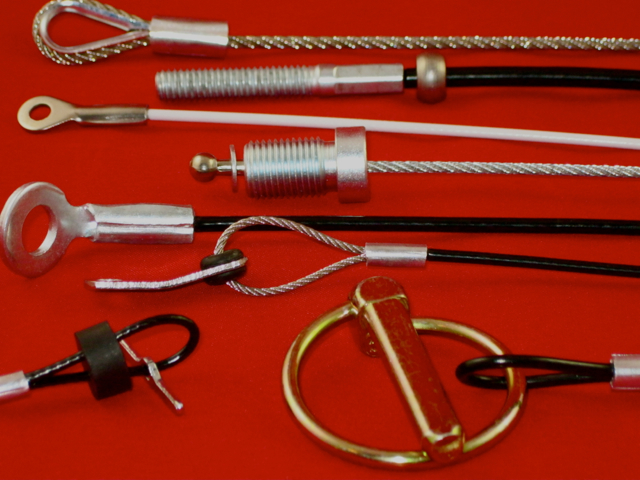 Wire Rope Assemblies – Tyler Madison, Inc.
Wire ropes are used in a range of industries such as mining, oil rigging, bridge construction, marine, aerospace, transportation, and material handling among others that require various heavy-duty lifting applications. Wire assemblies are also useful in motion control and mechanical automation applications for not only lifting but pulling and support as well. Wire rope assemblies allow for the incorporation of wire cables into machinery or other equipment for use improving connectivity and versatility and to prevent damage, such as fraying, to the rope mechanisms. The capacity of a given system is determined by the type and placement of wire rope fittings in the assembly. Common fittings include clamps, clips, sleeves, links, hooks, forks, eyes, studs, and pins. The utility and added security afforded by wire rope assemblies allows their use in both commercial and residential arenas in addition to their traditional applications in the industrial sector. As cables for heavy-duty hoisting vary considerably from those used to support a home shelving unit, it is vital that the intended use be considered when selecting the proper assembly. Wire rope manufacturers often provide a range of wire fitting options in order to accommodate the many different uses for the cables. 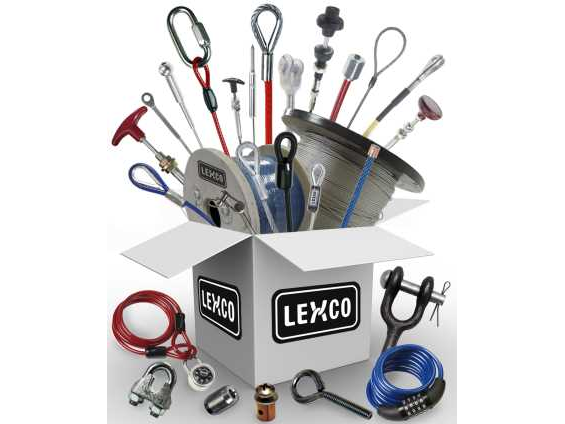 Wire Rope Assemblies – Lexco Cable Mfg. While specific fittings and terminations are achieved through various metal stamping, die cutting, or swaging techniques, the process of wire rope making is fairly uniform, though specifics will vary. Wire ropes comprise the base or body of every assembly, these are the lengths of stranded wire cable that run between two fittings or pieces of equipment. Each rope consists of three main elements. Cold drawn metallic filaments are twisted or braided into strands which are in turn helically wrapped around a core, which may be metal or fiber based. The number of strands per cable and filaments per strand are used to identify wire ropes as are the lay or style in which each component was assembled. Fittings and wires are commonly made of the same materials; most popular are durable metals. Steel and stainless steel, titanium, nickel alloys, and other metals are selected based on specific properties such as resistance to wear and corrosion, tensile strength, and weight to strength ratios. Further considerations for wire rope assemblies include diameter, length, flexibility, difficulty of flattening, temperature resistance, and average lifespan. Assemblies are carefully regulated and should be inspected regularly to avoid potentially costly and dangerous mechanical failure. Wire Rope Assemblies Wire rope assemblies are completed cable systems that involve the cable or cables as well as any fittings in the form of additional hardware or rope termination techniques.